72. Sri Aurobindo’s Role in the Indian Freedom Movement, Aug 2006. 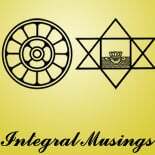 This entry was posted on April 14, 2012 by integralmusings in List of Articles in the Blog.